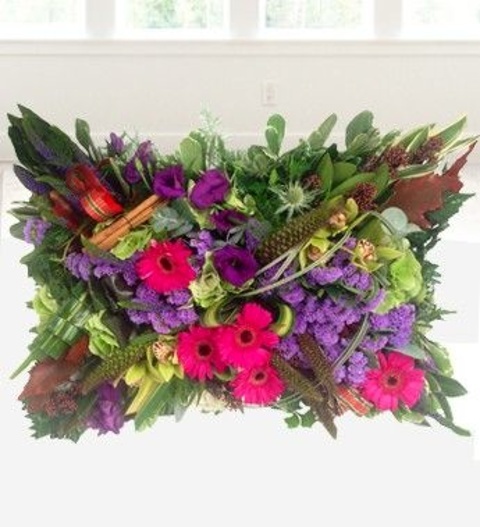 A traditional, funeral pillow designed by our professional florists. We can cater to any design and colour scheme. Call our specialist designers on 0844 310 5555 for more information.